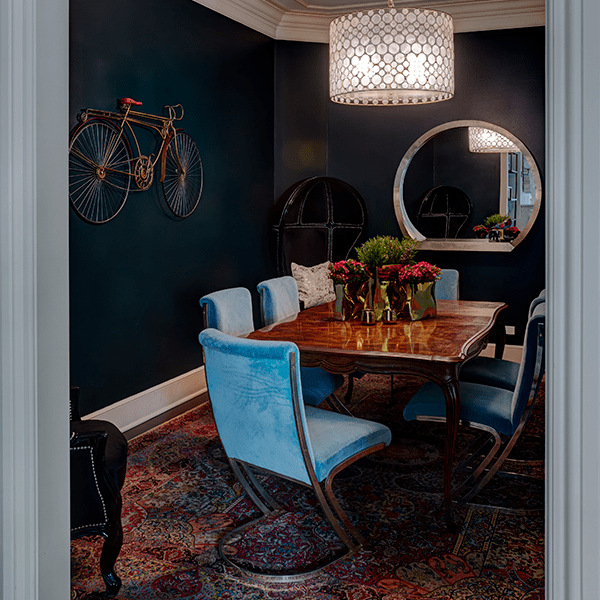 We’re taking a fantasy tour of 3 Chic Apartments in Chicago by the design team at Chicago-based Inspired Interiors. You have to admire that sort of passion from a team of designers who right out of the gate aspire to maintain the design’s focus squarely on YOUR milieu and not theirs. 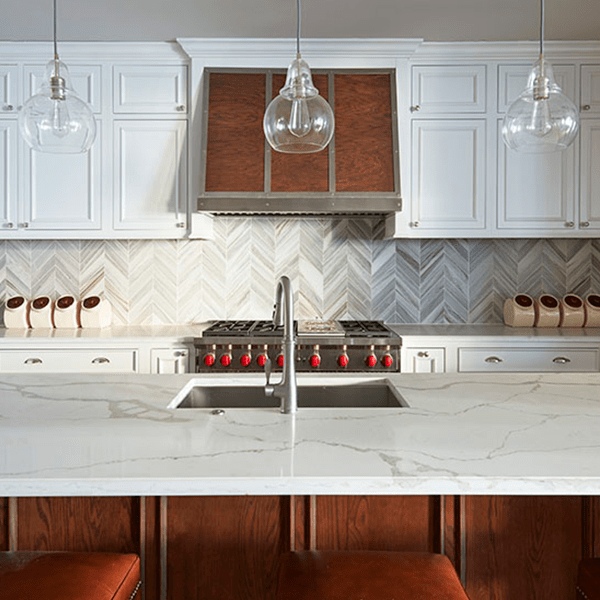 One gets the sense straight away the design journey to create your beautiful environment will be an enjoyable collaboration as opposed to an opportunity to stamp a curated, signature look on yet another residence. 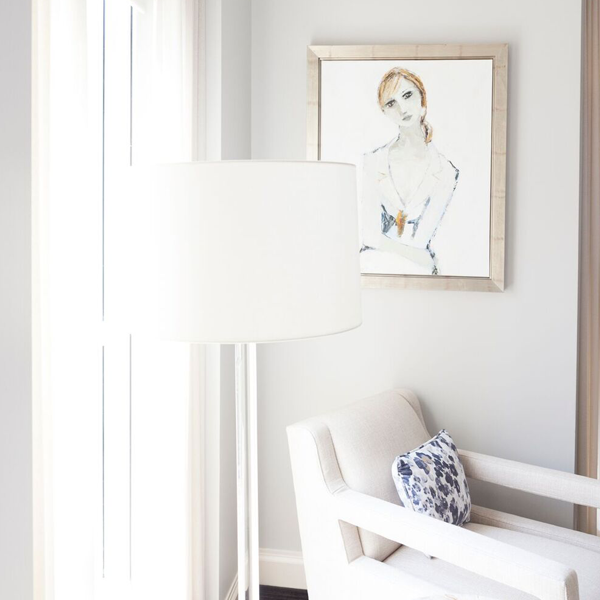 Holly Irwin painting in serene apartment by Inspired Interiors. Here’s what else captured my attention. 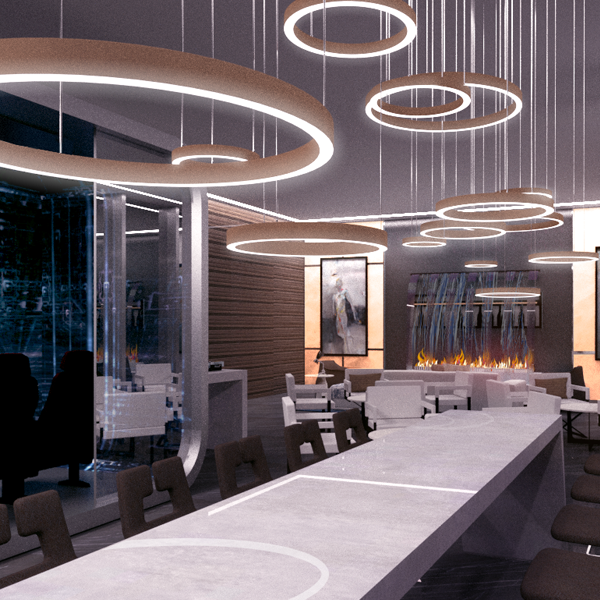 The first interior design project by Inspired Design attracting my eye? 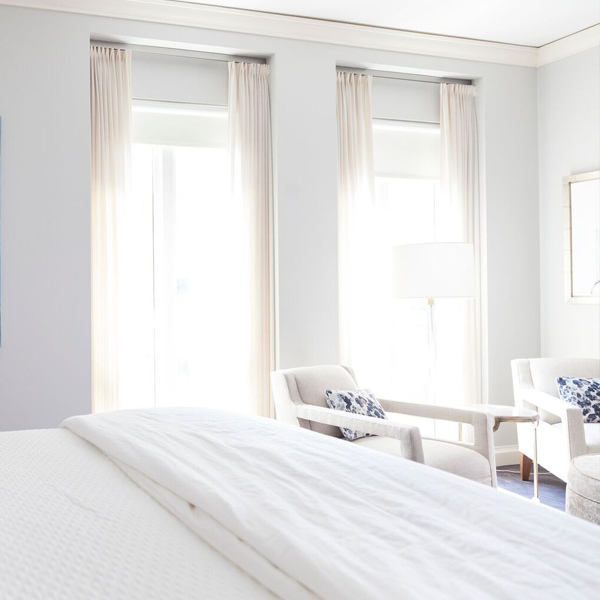 A room with white decor in a Waldorf Astoria Chicago condo with gorgeous art on the wall (above). I recognized both the hotel and the artist’s work immediately. Which artist? The brilliant, Holly Irwin. That sealed it, and I wanted to see more. Combining Holly Irwin art with the most beautiful hotel/residences of which I have been a guest? Well, hello, LOVELY. Let’s take a trip to fantasyland today as we peruse design from Inspired Interiors. (Not to be confused with Fantasy Island…remember that drama which aired on Saturday nights after The Love Boat?) Guest stars over the years included Michelle Pffeifer, Lynn Redgrave, Annette Funicello, Peggy Flemming, Sonny Bono, Cybil Shepherd, and Toni Tenille (of The Captain & Tenille!). Wait! Do you need a refresher? Yes, I believe you owe it to yourself. This clip is a blast from the past recalling Fantasy Island guest stars in 1978, kittycats! Ha! 1978. Jaws, Grease, Saturday Night Fever. Oh, my lord, the 70’s! The political incorrectness, sequined tube tops, roller disco, truly baaaaad fashion, shag carpet and hairstyles, and cabbage patch dolls! When you view old youTubes from the era…was everyone intoxicated or stoned like ALL the time? My adolescent superficial self recalls viewing Leif Garrett disco dance in impossible spandex on his TV special with Brooke Shields, Flip Wilson in drag, and Marie Osmond vying (with me) for his affections. What? You are wondering what all the fuss about Leif was about? I mean. He was made for dancing. You’re welcome, Leif fans! 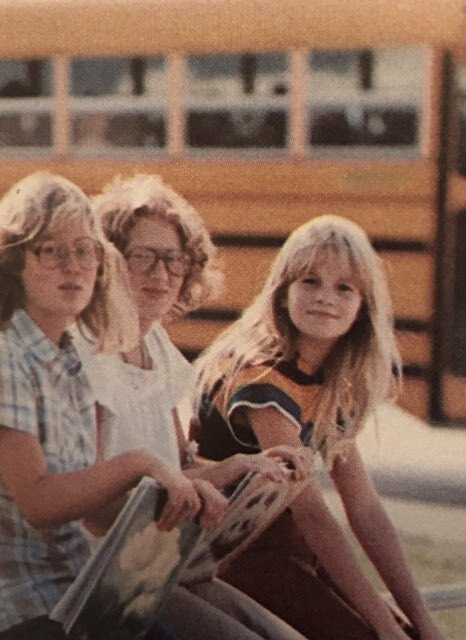 In 1978-1980, I was a middle school dancing queen who also believed she was made for dancing Ah Ah Ah All night long. A group of us students indeed were recruited to film a disco dance video (the young ladies wore leotards with long polyester skirts, the guys wore shirts with half of the buttons unbuttoned) to promote our school–I kid you not. If you like, I can teach you a rad disco move from that choreography called “the pretzel.” We also recorded a soundtrack for the video…going into the recording studio to dub over the Beegees “How Deep is Your Love” in 3-part harmony with lyrics about our school. The truth is out. Boo. I probably peaked around the time of that video in the late 1970s. Where was I? That went off on a dizzying tangent for which I refuse to apologize. 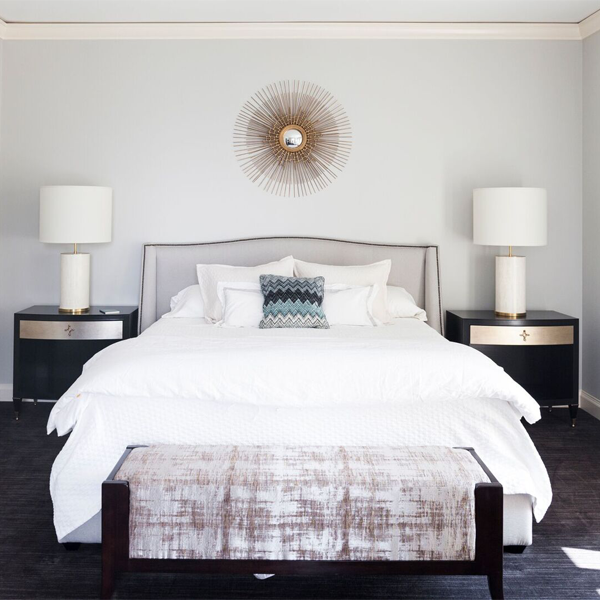 Find Here: lovely sunburst mirrors for your bedroom too.THESE CHAIRS would also be super chic as well for a similar look. Is a Sputnik chandelier in your future? FIND worthy contenders RIGHT HERE. 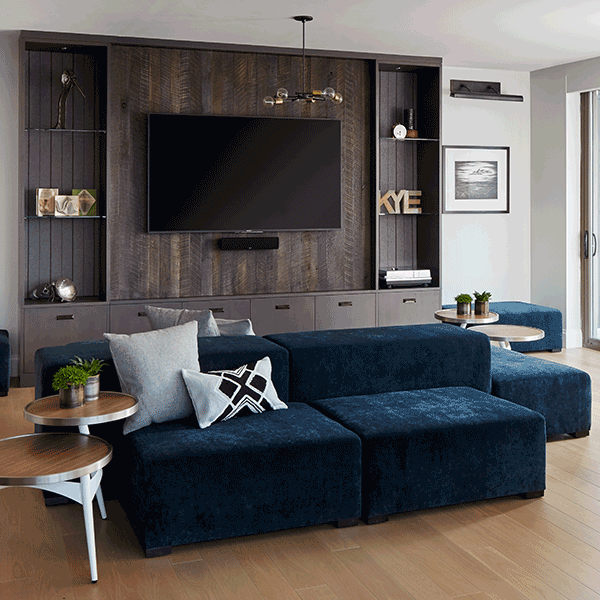 Here is the description from Inspired Interiors about this fantasy project: “What happened when Magellan Development engaged Inspired Interiors to design the ultimate bachelor pad at the Sky 360 Residences in Vista Tower? 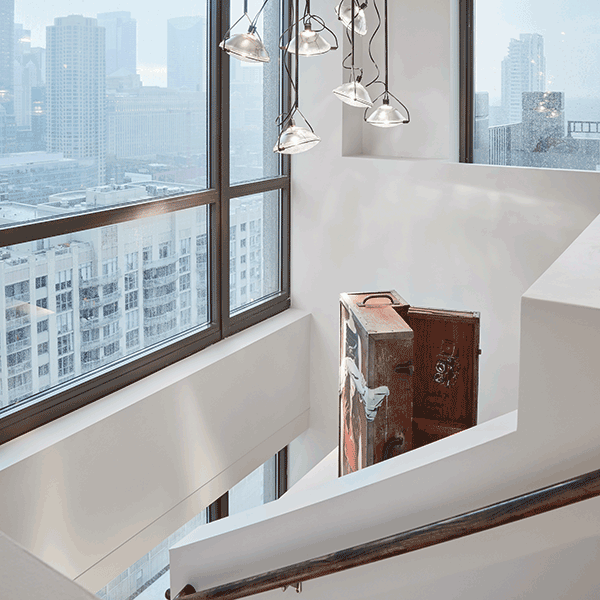 A breathtaking luxury Chicago penthouse showcasing a drive-in movie area, a custom-designed waterfall/fireplace/champagne fountain and one-of-a-kind constellation lighting. 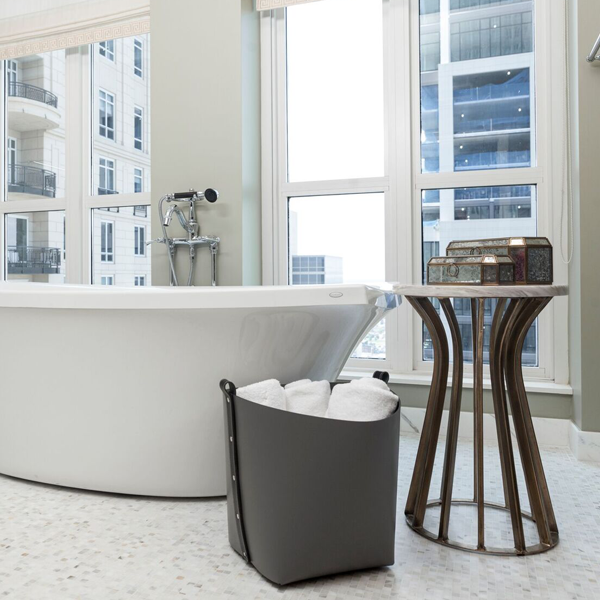 The Vista Tower skyscraper penthouses offer 360 degree views of downtown, the Chicago River and Lake Michigan. 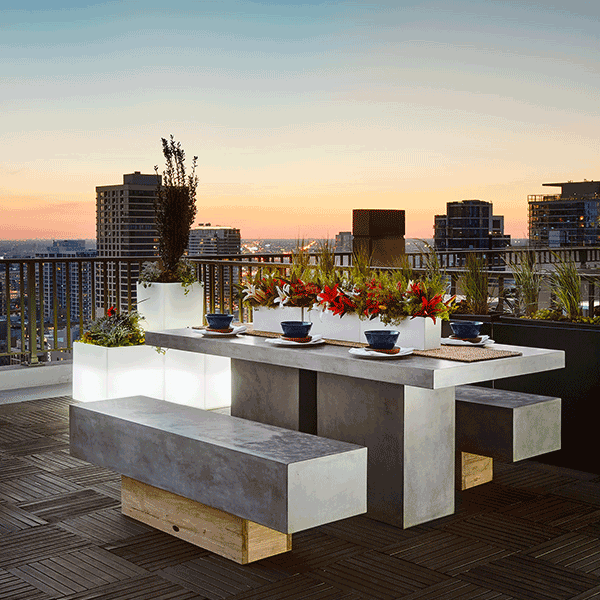 This magnificent backdrop serves as a canvas for open, modern spaces ideal for relaxing, working and entertaining. The master suite features a fitness room specially designed for meditation and suspension yoga. Work areas include a boardroom with seating for eight, home office and a touch-screen TV center for video calls. Thanks for playing along and do visit INSPIRED INTERIORS for design help. If urban chic floats your boat, visit THIS. If something far from urban chic is your vibe, see THIS. lol.. Blast from the past. Thank you. Oh my goodness! You really got me started this morning. Most memorable, Leif and the drive in!!! Have a wonderful day. Hi Michele, yes indeed me too I remembered seeing pictures of Emily’s work for the first time on Dering Hall. Very nice! Love the calm and airy look at the first apartment! Great post! I love Inspired Interiors and I was honored when they purchased my paintings for their clients luxury condo! I follow them on Instagram and they have such a wide range of interiors that they have designed. That tells me that they listen to what their clients want! Thanks for the shout out!! P.S. loved the Fantasy Island video! I don’t even want to think about what I was wearing during those years!!! 🙂 They have excellent taste in art! Mr. Roark was so wise on such a kooky show!